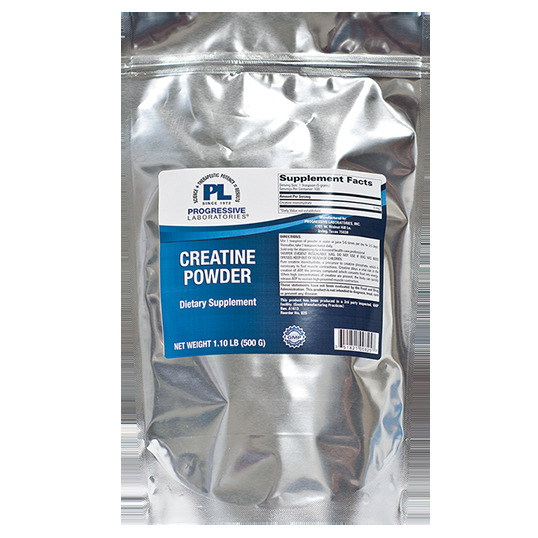 Creatine monohydrate, a precursor to creatine phosphate is necessary to fuel muscle contractions. Creatine plays a vital role in the creation of adenosine triphosphate (ATP), the primary compound which converts food into energy. When high concentrations of creatine are present, the body can quickly release ATP to sustain high-powered muscle contraction. Used by athletes and body builders for years, creatine is also useful (when combined with resistance exercises) to combat age-related muscle wasting. Mix 1 teaspoon of powder in water or juice 5-6 times per day for 3-5 days. Thereafter, take 1 teaspoon twice daily.